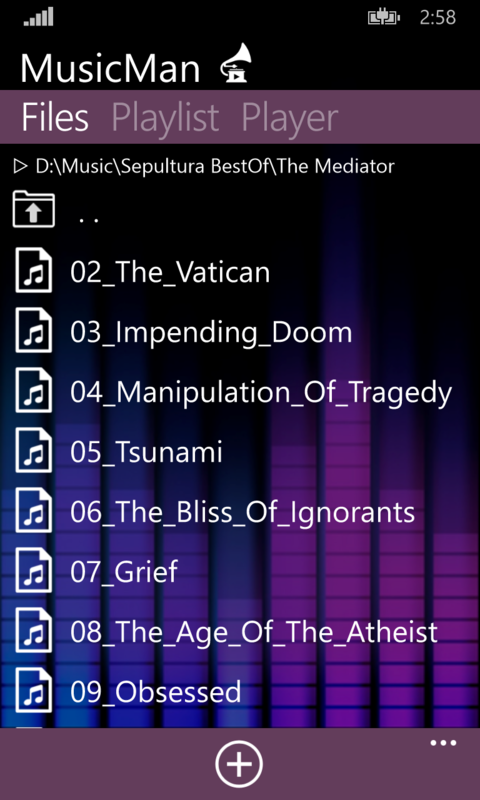 MusicMan is simple and very intuitive file-oriented music player. There is obviously a lot of different music applications and music players. But their principle is usualy based on automatic generation of libraries with your music. This automatic generation is not only time consuming, but too often leads to the situation that either you won’t find your song in these playlists or the song is incorporated into a completely different library. Just because the song’s MP3-tag says that it is a song of a certain artist, and your song is automatically added into artist’s related library. MusicMan does not generate any library or playlist automatically. MusicMan does not use the file’s metadata (e.g. MP3-tags), but works with the names of files and folders exactly how you have them stored in your phone or SD card. In addition, allows you to build your list of songs just the way you want and not how it was ‘invented’ by someone else. That’s the reason why MusicMan was created. It was created so that we, ordinary people, can play exactly what we want – quickly and easily. Be the master of your music. Decide for yourself what to play and in what order. 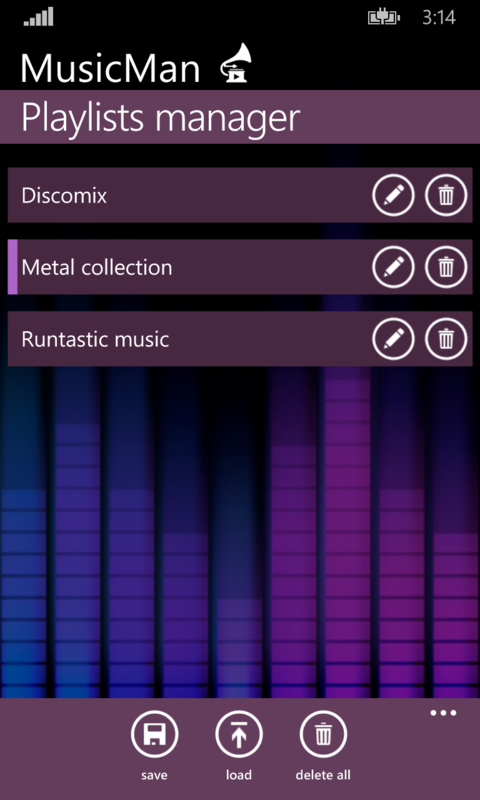 Simply select songs from one or more folders, and then just enjoy the music. Does not create automatically generated playlists. Simply and easily create your own playlist. FolderPlay mode for fast playback of all files in selected folder with one click. Your playlists can be saved, named or renamed, and load and used later. Make use of integrated playlists manager. Supports background music playback and integrates into system volume control panel. To work with playlists or during playback you do not need an Internet connection and the application requires only basic permissions. Tutorial, support and official support forum available. Continuous development of the application. The proceeds from the in-app payments for unlocking all available functions is largely devoted to school for the blind in our Opava city. By this our company returns to this form, at least a small aid. Please, read carefully system requirements and answers to frequently asked questions for this application. The application is only available for the Windows Phone. Meteoservis is continually evolving and improving – watch information about new releases.